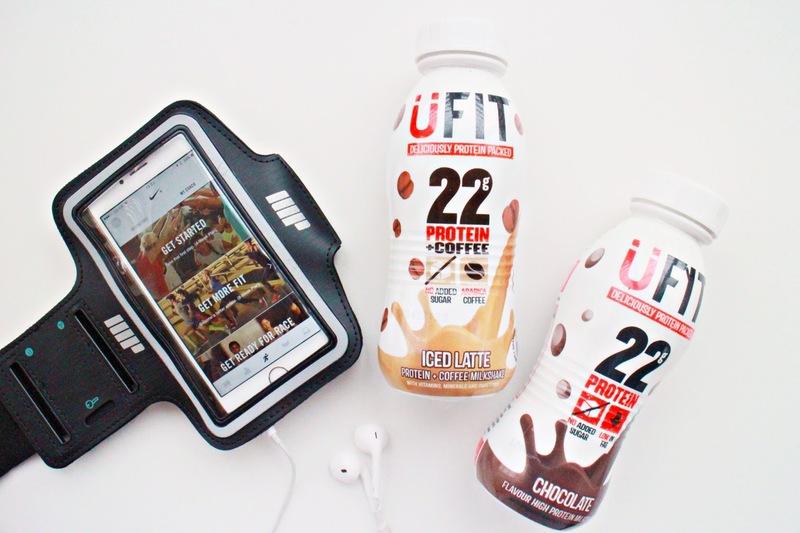 If you read beautybakingbella you may have seen my review of UFIT Lactose Free Protein Drink. Last month I tried a couple of other UFIT protein drinks that they kindly sent me to review, so here are my thoughts. The two UFIT protein drinks I tried were the Iced Latte Protein and Coffee Milkshake and the Chocolate High Protein Milkshake. First I tried the Iced Latte Milkshake one afternoon as a pick me up snack around 3pm when I felt like I needed a caffeine boost. Now, I don’t drink a lot of coffee and try to avoid caffeine but when I feel the afternoon fatigue set in I tend to reach for a cup of cafe au last to boost my mood and energy to get me through the rest of the day, this is a great alternative. With 113mg of Natural Caffeine and 22grams of Protein this milkshake is a great source of energy in a tasty drink perfect for on the go or in a rush during a busy day. With 100% Arabica coffee the taste of this protein milkshake was so enjoyable with it’s subtle coffee flavour makes it perfect for anyone not just coffee lovers. On my gym training day I took my Chocolate High Protein Milkshake as my post workout fuel. As you may of read in my previous fitness posts, I like to drink protein shakes and whey protein powders after my workout to refuel and replace protein and vitamins that I lose during my sessions. This protein milkshake was so refreshing and tasty. The bottle is such a nice size and shape which fits easily into my gym bag. With no added sugar and 22grams of protein this shake tasted just like a chocolate milkshake with none of the bad stuff, just full of vitamins and minerals as well as fibre. Both these protein milkshakes tasted amazing and a great alternative to naughty snacking, just pop one in your workbag, handbag, gym bag or even lunch box for a healthy protein boast and a tasty snack. After trying a variety of UFIT protein drinks I am definitely a fan and will be purchasing them in the future. You can find UFIT in Boots, Holland & Barrett’s and online.